The AASHWAMEDH line of products are manufactured in India´s oldest ayurvedic company – Shree Dhootapapeshwar Ltd. An awareness for quality is ingrained in the working ethos of the company. The traditional AASHWAMEDH Products have a complete, holistic approach to health and can be integrated with ease in your daily routine of healthcare. ArminLabs is a laboratory specialized in diagnosing infections. We offer diagnostic services for doctors, naturopaths and patients from allover the world. In the complexity of tick-borne and opportunistic infections, we are specialized in T-cellular tests (EliSpot), B-cellular tests (IgA, IgM and IgG-antibodies), and NK cell tests (CD57, CD56) for several bacterial, viral, parasitic, and fungal infections. Our training-concept is one that is directly as part of and associated with a Naturheilpraxis. We offer training courses for medical practitioners and courses in psychotherapy for medical practitioners. 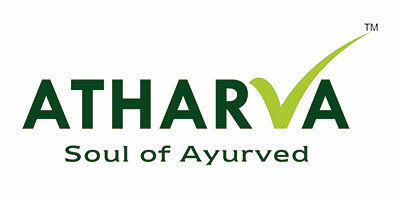 Our training portfolio also offers Ayurveda Practitioner and Health Coach Programs. AYOVEGA is Colognes tradefair for Yoga, Ayurveda and vegan food. More than 80 sustained companies and trade exhibitors present on AYOVEGA their latest products and collections. A multitude of different style Yoga classes as well as interesting lectures around the topic of AYOVEGA complement the offer range for prospective newcomers or practitioners intermediate. On the island Madeira, is located the ayurveda curecenter "Refugio dos Sonhos" by Birgit Moukom, an experienced Ayurveda specialist. Guests have the choice between authentic Panchakarma, relaxation and strengthening cures, accompanied by the Indian Ayurveda doctor from Kerala, Dr. Gopal, with great skill and care. Our hotel is under German management for more than 15 years in Sri Lanka. We practice authentic, professional Ayurveda. Our German guest relation and our qualified doctors and therapists take care about each guest individually. So body & mind will be reconciled and a foundation is created for a responsible health care. Led by Dr Sukumar Sardeshmukh is into manufacturing and exporting of Ayurvedic Classical and Proprietary Herbal products ranging from body care, herbal supplements and many more. We have our own organically grown farms for authentic and pure herbs which are processed strictly following basic principles of Ayurved. Our studio specializes in processing artistically hand-woven, chemical-free Indian raw silk, and if desired with natural colors. Our offer includes meditation robes, Sari cloths, bags and Garshan massage gloves. We buy our silk in an Indian rural Cooperative and sewn exclusively in Germany.